Play Reel Spinner slot machine online once and you are bound to get hooked. The basics of the slot are aligned to the standard offering of five reels and three layers. The creators have not experimented much with the pay lines and stuck to the usual fifteen. The minimum bet is a risk-free 0.15 while the maximum bet is of 11.25. This may not lure the players looking to wager bigger stakes, but the sheer easiness of the features is sure to entice many. The real baits are the lavish wins which no one can resist. Play Reel Spinner Game for real money as the gameplay has medium variance and ensures a fair RTP with its charming simplicity. Don’t judge a book by its cover; that holds true in an absolute sense when it comes to Reel Spinner Slot machine. The name of the game completely underplays the thrill and visuals it offers. The inviting deep-sea theme, the attention to details in terms of not just the characters but even the tastefully chosen background score; all add up to a complete entertainment package for the player. The reels are designed opaque which hides away the beautiful backdrop scenery of the ocean’s horizon. This could have been a visual treat for players if designed with due care. However, a pat on the back of the designing team who ensured that no run-of-the-mill playing cards are used to denote any symbols. 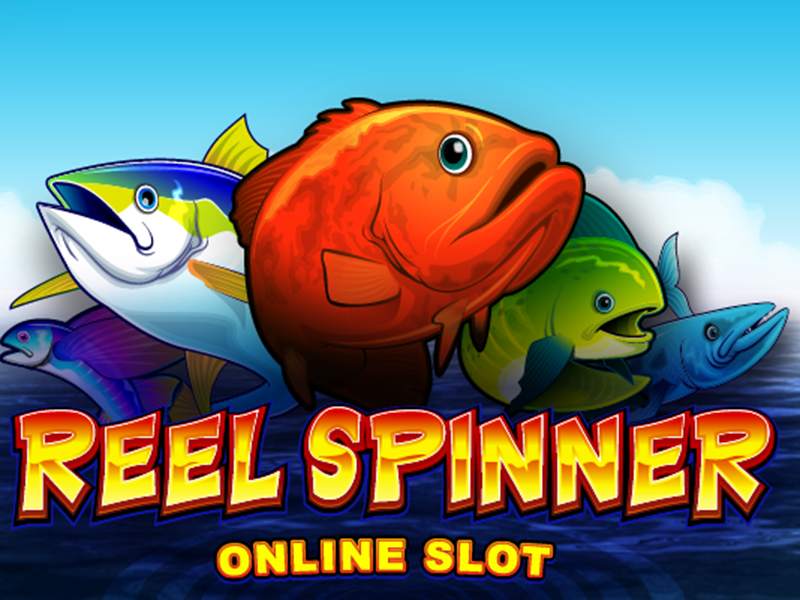 Flying fishes, Giant Tuna, Barracuda and many more exotic sea creatures appear on your screen as you get started with the Reel Spinner. The illustrators have taken care to include not just living creatures but everything that comes to your mind when you think of the deep-sea fishing, i.e., powerboats, motors, yachts, fishing hooks. This gorgeous nautical experience is only a collateral bonus as the real game unfolds when the free spins start. The bold typography of fonts and the appealing colors of the theme are worth mentioning. How to Land the Big Catch? The Free Spins show up as Scatter symbols. Once you have collected three or more Scatter Free Spins, you land an innovative two-stage bonus. First, you get to choose one of the five different boats which range from a humble dinghy to a majestic motor yacht. The number of spins offered by each boat varies, with the maximum being twenty. Secondly, once you have made your selection of the boat, you are offered spins to reveal a multiplier which will apply for all the free bonus rounds! What’s more? Multipliers as high as x5 are available, and there’s nothing fishy about it. Don’t be disappointed that you cannot re-trigger the spins because the generous 112000 credits cash jackpot is undeniably the biggest catch! Microgaming must be ‘fishing’ for compliments when they came up with this game, and they were right to do so. Because Reel Spinner casino slot online is now available on mobile phones too. The amazing animation and catchy sequences are optimized for handheld devices as well. So, don’t for wait any further and get the reels rolling! 0 responses to "Reel Spinner Slot"